WestJet has announced its October 2017 traffic results with a record load factor of 81.7 percent, an increase of 2.0 percentage points year over year. 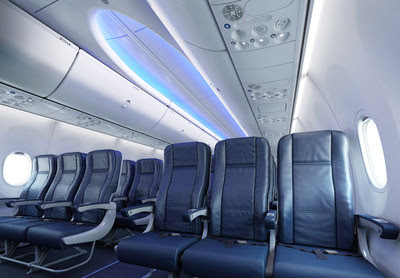 Revenue passenger miles (RPMs), or traffic, increased 4.5 percent year over year, and capacity, measured in available seat miles (ASMs), grew 1.9 percent over the same period. The airline flew a record 2.0 million guests in October, a year-over-year increase of 9.4 percent or approximately 169,000 additional guests. 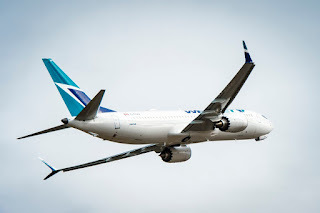 "We are very pleased with our fifth consecutive month of record load factors, as we also flew a record number of guests in October," said WestJet President and CEO Gregg Saretsky. "My sincere thanks go out to our over 13,000 WestJetters for their continuing passion and commitment as we transition into the busy holiday season." In October, WestJet announced it will begin non-stop service between John C. Munro Hamilton International Airport and McCarran International Airport in Las Vegas, effective December 29, 2017. Service between Hamilton and Las Vegas will operate twice weekly beginning December 29, 2017, through April 27, 2018. This winter, WestJet has a total of 63 weekly flights to Las Vegas from eight cities across Canada including Vancouver, Calgary, Edmonton, Regina, Saskatoon, Winnipeg, Toronto and Hamilton. 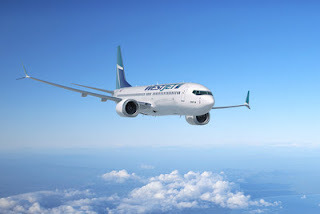 WestJet was named Best Airline in Canada and one of the best Low-Cost Airlines in North America, based on authentic reviews from the travelling public on Trip Advisor, the world's largest travel site. We are one of very few airlines globally that does not commercially overbook. Together with our regional airline, WestJet Encore, we offer scheduled service to more than 100 destinations in North America, Central America, the Caribbean and Europe and to more than 175 destinations in over 20 countries through our airline partnerships. WestJet Vacations offers affordable, flexible vacations to more than 60 destinations and the choice of more than 800 hotels, resorts, condos and villas. Members of the WestJet Rewards program earn WestJet dollars on flights, vacation packages and more. Members use WestJet dollars towards the purchase of flights and vacations packages to any WestJet destination with no blackout periods and have access to Member Exclusive fares offering deals to WestJet destinations throughout our network and those of our partner airlines.